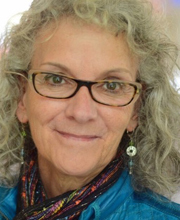 Diane Schoemperlen says, “in my fiction I have never had any trouble dispensing with the ‘rules’.” Her readers will agree — her writing always take an innovative approach to storytelling, and plays fast and loose with narrative convention. In the Language of Love draws inspiration from 100 stimulus words from the Standard Word Association Test. Forms of Devotion combines woodcut illustrations in a prayer book layout to challenge readers’ expectations. Her short story collection, The Man of My Dreams, was shortlisted for the Governor-General’s Award and the Trillium Prize, and Forms of Devotion won the Governor General’s Award for English fiction. Her memoir, This is Not My Life, was a finalist for the RBC Taylor Prize for Literary Non-Fiction, long-listed for the BC National Award for Canadian Non-Fiction, and appeared on multiple best book of the year lists. This year, Diane is one of two recipients of the Canada Council for the Arts’ Molson Prize for outstanding achievement in the arts. Diane was born and raised in Thunder Bay before moving to Kingston.